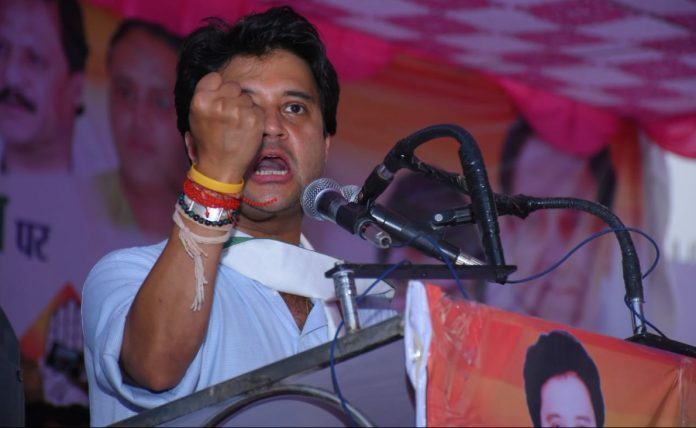 Jyotiraditya Scindia was recently appointed Congress general secretary in-charge of western Uttar Pradesh, but his supporters are not exulting as such. The reason: Once a contender for the chief minister’s post, he has no say whatsoever in the Congress government in Madhya Pradesh today. The former Union minister was projected as the young face of the party in the run-up to the assembly elections but was completely sidelined when the Congress returned to power after 15 years. Grapevine has it that even his recommendations for transfers and postings go unheeded. To bring a thaw in relations among warring factions in Madhya Pradesh, a Scindia family friend organised a dinner for Chief Minister Kamal Nath, former CM Digvijaya Singh and Guna MP Scindia in New Delhi recently. At the dinner, they were expected to have candid talks to redress Scindia’s grievances. Kamal Nath happened to be more candid than the rest as he dismissed all complaints, citing compulsions of governance. There is no succour coming to the Guna MP from the Congress high command either. Congress president Rahul Gandhi sought to make it up to him by appointing him AICC general secretary in-charge of western UP, where the party is virtually non-existent. While Scindia has swung into action to try to revive the party, the entire limelight has been on Priyanka Gandhi Vadra, who has been given charge of eastern UP. Gandhi’s comment that Scindia and Priyanka have been given the target of forming the next Congress government in Uttar Pradesh in 2022 has only disappointed Scindia supporters. They interpret it as the high command’s intent to keep him busy outside his home state. A recently-appointed Supreme Court judge has reasons to be upset about the accommodation facilities provided to him in the national capital. Despite moving to Delhi three weeks ago, the judge has not been allocated an official residence and is staying in Karnataka Bhavan. On Wednesday, he was disturbed in the small hours by loud partying in the Bhavan. When the judge sent his staff to ask the partying lot not to disturb people, the guests started arguing with them. Eventually, Delhi Police made sure that the judge got peaceful sleep. The unpredictable weather has been affecting not just the common person’s plans and schedule, but also that of Prime Minister Narendra Modi. On Monday, the PM and his team were scheduled to take a helicopter to Greater Noida, where he was to attend the Petrotech conference, and then Vrindavan, where he was invited to serve the three billionth Akshay Patra meal to children. However, the poor weather conditions in the morning compelled Modi to change his plans of taking a chopper to Greater Noida and he and his team, instead, drove down to the venue of Petrotech 2019, obviously a more time-consuming affair than taking a chopper. Later in the day, however, as the weather cleared up, the PM used the chopper to fly to Vrindavan. Raja Digvijaya Singh continues to cast a long shadow over the affairs of Madhya Pradesh. Fifteen years after he completed his decade in power in the state, journalists covering the recent Assembly election reported how ordinary voters still harboured negative emotions about his tenure. Gave the other side a peaceful three terms in office and it was still touch and go.